with the bold text in the example below: The Skychi Travel Guide : Africa Is Not Ebola! Africa Is Not A Country! It seems that American media loves to paint the picture of Africa as a country with mysterious diseases. Travel to Africa for leisure has declined to countries like South Africa which does not even have Ebola. The American media portrayal of Africa as a country creates fear among Americans that ALL of Africa has Ebola. Americans do not believe Europe is a country. Most Americans know the countries of England, France, and Italy. American media does not treat the coverage of the news in European countries with the same language and connotations as African countries. This only encourages ignorance and fear among Americans. Let's face it, geography is not America's strong suit. Americans have very little knowledge or understanding of the rest of the world. Our filter to the world through the media is very jaded and slanted. Americans are lead to believe that the United States is the best place on the planet and that is not necessary to travel. So few Americans have passports and even less travel beyond the borders of the United States. Figures vary according to the number of Americans which hold passports from 10%, 35% to 54%. The number of passports does not matter, but the more important number is the usage of the passport. According to The Office of Travel and Tourism 29,015, 463 Americans traveled outbound by air from the United States to overseas in 2013. Majority of Americans 11,407, 998 flew to Europe which was an increase of 1.5% from the year 2012. That is 18.5% of the market share or American tourism dollars. It should be noted that United States outbound air travel to the continent of Africa in 2013 decreased 3.5% from the previous year with 358,948 American visitors or 0.6% market share. These figures are pre-Ebola scare. Americans who do choose to travel overseas do not venture to the continent of Africa. The perception of Africa as a country instead of a continent is reflected in these tourism numbers. South Africa has seen a decline in tourism due to the Ebola scare. South Africa is a country located in the southern part of Africa. Duh! South Africa is 2773.7 miles or about a 6 hours flight to Nigeria. That is comparing in the United States to flying transcontinental from New York to California. Senegal is country located in the region of West Africa and it is about a 1 and 30 minute flight to Sierra Leone. This is comparing to flying from Chicago to Pittsburgh. Americans should understand that if they live in the city of Chicago, that what happens in the city of Pittsburgh does not effect them. The same comparison for the state of New York and the state of California. Nigeria and Senegal have both been declared Ebola free by the World Health Organization. Americans Tourists are safe to travel to those two countries in the region of West Africa. If you were planning to visit Goree Island in the country of Senegal, then you should without fear. If you are planning to go on safari, then go on safari. 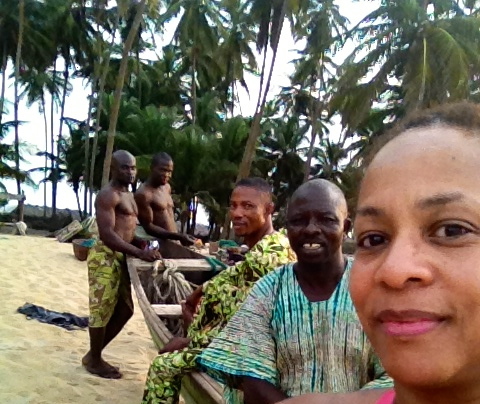 In 2013 I was among one of the 358,948 American visitors who traveled to Lagos, Nigeria. The purpose of my journey was to participate in the first Social Media Week event on the continent of Africa. I encourage you to join me and become one of the rare Americans who can lay claim to the fact that they have set foot on the soil of the African continent. 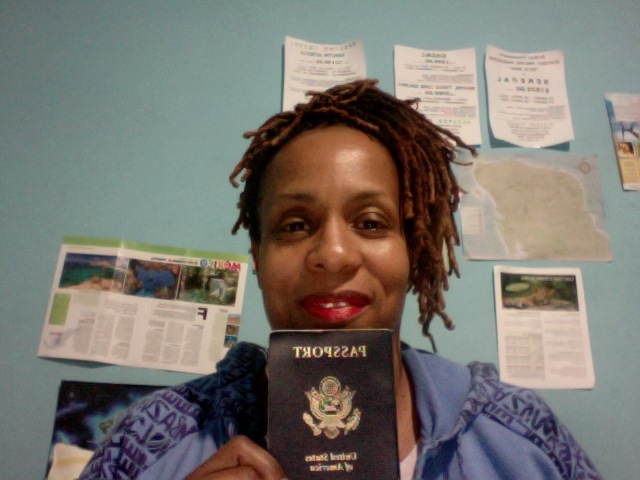 As an American you have a God given right to obtain a passport and travel. Exercise that right! Go Visit the Continent of Africa! I had the opportunity to tour Lagos and a rural fishing village which is depicted below in a travel vlog of some the places I visited in Nigeria. I was very well received my the Akinmade family and eternally grateful for their generous hospitality.